Those are the words Charlie and Tony repeat each time they talk about how their careers in sports began. That’s the quote on the original “Sparkle” DVD in which Tony King plays Satin, the gangster. Tony King is young and handsome when he faces racism in the NFL, so he decides to move to New York and start over as a model and then actor. 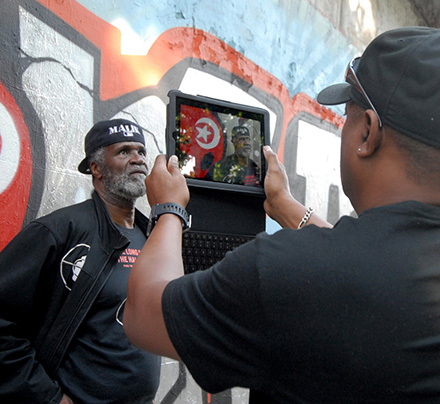 Tony comes into contact with the Nation of Islam while on the set of “Gordon’s War”. Security was provided by members of Nation of Islam and Tony was fascinated by the way these brothers managed the turbulent area of Harlem without any problem. Malik Farrakhan is now Head of Security Protocol of the most respected and politically committed group. 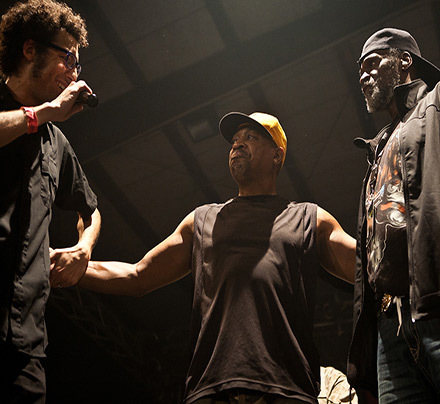 Minister Louis Farrakhan personally requested that he take care of them and Mister Chuck D in particular. Real success doesn’t come easily. 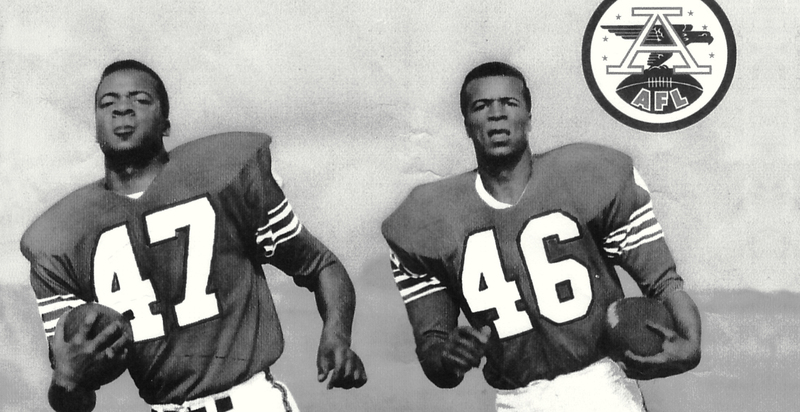 So 40 years after starting their careers with the Buffalo Bills, Charlie and Tony King discover they were the first African-American siblings to play Pro Football on the same team at the same time in 1966: thus, going down in history. 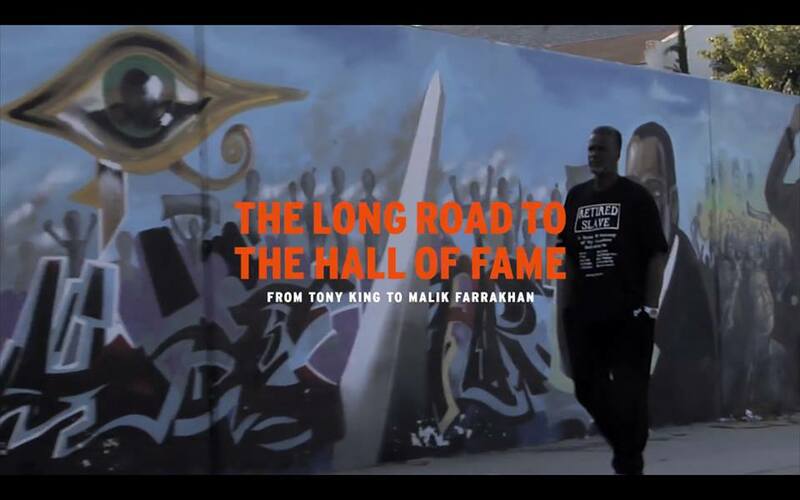 The Long Road To The Hall Of Fame is a feature length documentary about Tony King aka Malik Farrakhan. You might know Tony King for his past as a football player for the Buffalo Bills, or as a movie star in iconic films like Shaft or Gordon’s War. 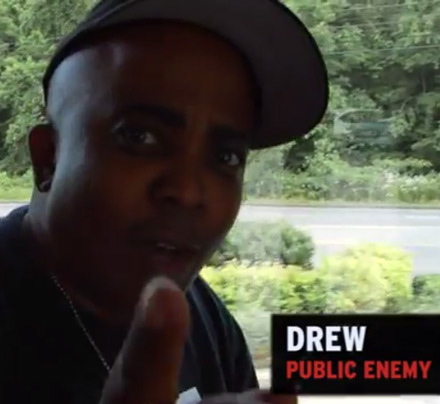 You might have seen his face touring the world next to Chuck D of the legendary hip hop group Public Enemy, whose security he’s been in charge of for the past 20 years. 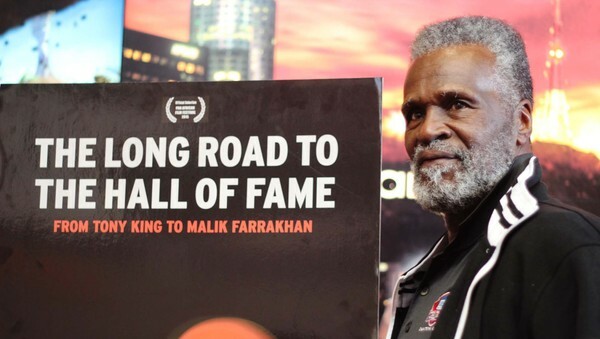 Political activist and brother in faith of the Nation of Islam who has since changed his name into Malik Farrakhan, his life is a parable spanning the last 40 years of African-American history. What we are going to tell is a story that goes deeper than the ocean. In the 1960s, African-Americans faced moments of hardship in the struggle for civil rights alongside figures such as Malcolm X and Muhammad Ali Klai (Cassius Clay). 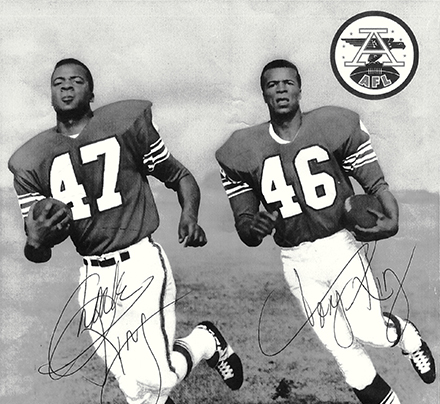 Tony King (Canton, Ohio, 1947), professional football player who then became a model and actor in New York, experienced these events firsthand. 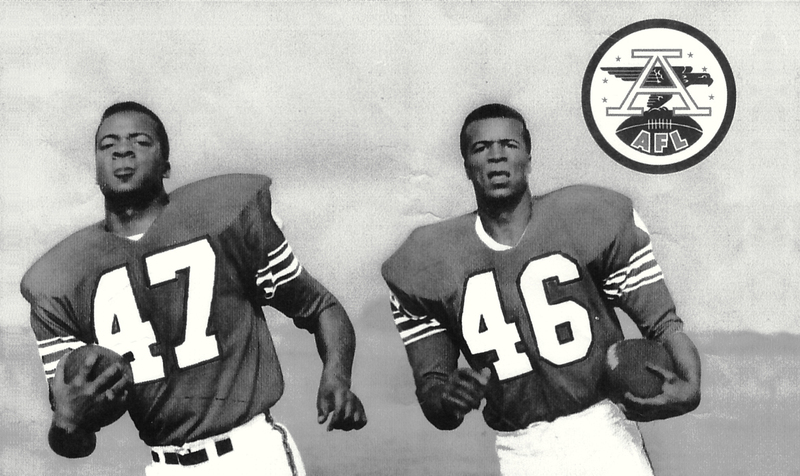 Between 1965 and 1967, he was one of the first African-American professional football players on the Buffalo Bills team. 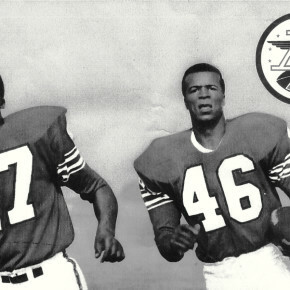 Tony and his brother Charlie King were the first African-American siblings to play in the AFL on the same team at the same time. 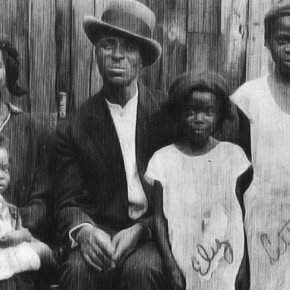 Inspired by Malcolm X’s biography and frustrated by the racial oppression his family endured, he soon decided to leave his hometown in Ohio and move to New York. 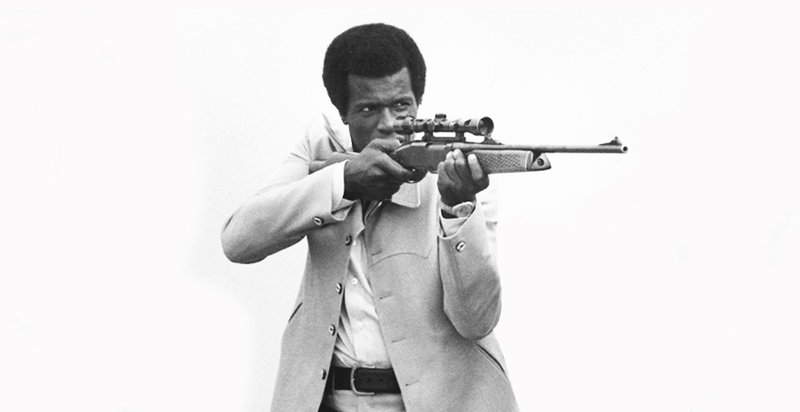 In the 70s, he established himself as a model, working with famous photographers worldwide; then as a Blaxploitation actor, starring in over 40 films. He also stood out as the only black actor in Francis Ford Coppola’s The Godfather (1972). After a spiritual awakening, which led him to the Black activist community, he began working as security for Nation of Islam Minister Louis Farrakhan. In the 80s, he officially became a member of the Nation of Islam, hence abandoning his “slave name” and becoming Malik Farrakhan. 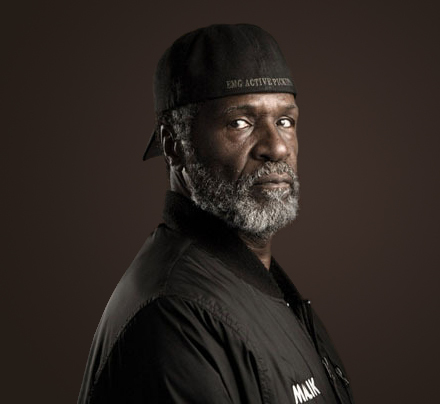 He now works as head of security for Public Enemy, a legendary Hip Hop group that was inducted into the Rock and Roll Hall of Fame (2013), and as bodyguard for Chuck D, founder and singer of the group. 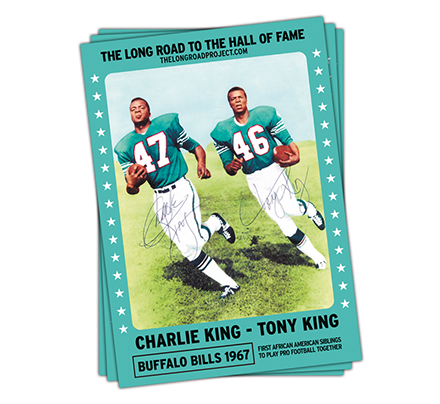 In 2009, Malik and his brother Charlie King were elected to the prestigious (NFL) Pro Football Hall of Fame. 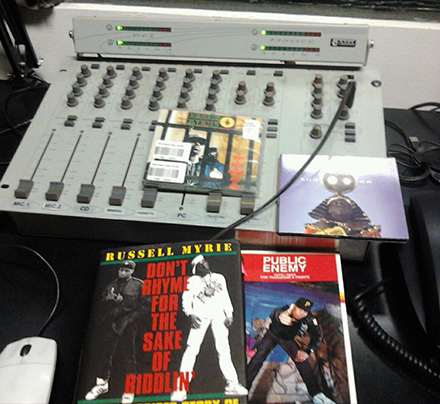 “It All started at 1422 Pike Street Alliance Ohio”. Those are the words Charlie and Tony repeat each time they talk about how their careers in sports began. Tony says that when he and his brother were children they never saw Black men as a positive role models who would go to schools and share their knowledge and experiences with students. That’s why, each time he returns to his home state of Ohio, he goes to the schools and tells students about his journey as the first African-American Professional Football Player elected to the Hall of Fame who came from a small town and now travels the globe. “My grandfather worked as a railroad worker, but he had a passion for the theater. At that time he was obliged to scrub coal on his face to become even darker. My grandmother was a champion athlete. During competitions it was prohibited to share the locker rooms with white athletes. So every time she had to change in a car parked in a field. 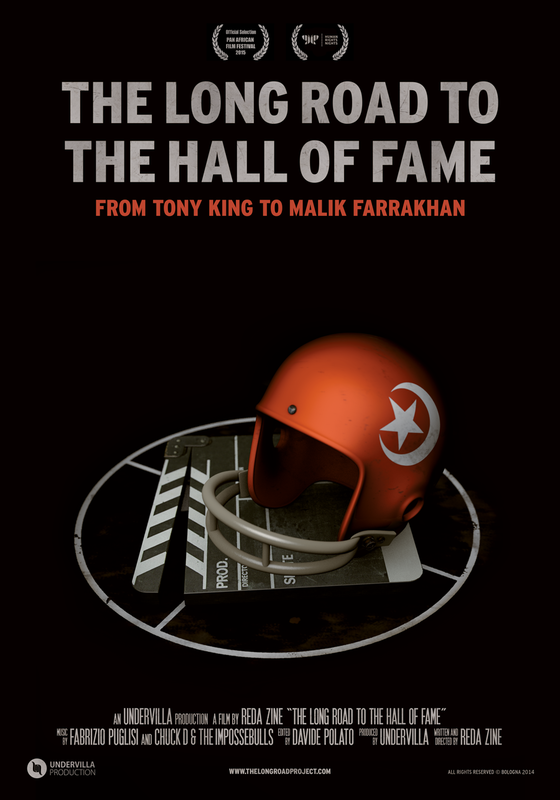 Pure humiliation.” Tony King’s (aka Malik Farrakhan) football career ended abruptly after he was caught reading the banned biography of Malcolm X. He then decided to move to the Big Apple to start anew. That’s the quote on the original “Sparkle” DVD in which Tony King plays Satin, the gangster. Tony King is young and handsome when he faces racism in the NFL, so he decides to move to New York and start over as a model and then actor. He starts off doing commercials, then moves on to acting during the period of Blaxploitation movies, when the first African-American directors started producing their own movies. Tony King starred in over 40 films in USA and abroad. Most notably: Report to the Commissioner, Hell Up in Harlem, The Last Hunter, Shaft, Gordon’s War, Bronk, The Raiders of Atlantis. He lived in Rome for 3 years and worked with Italian director Antonio Margheriti. He was also the only black actor in Francis Ford Coppola’s The Godfather. 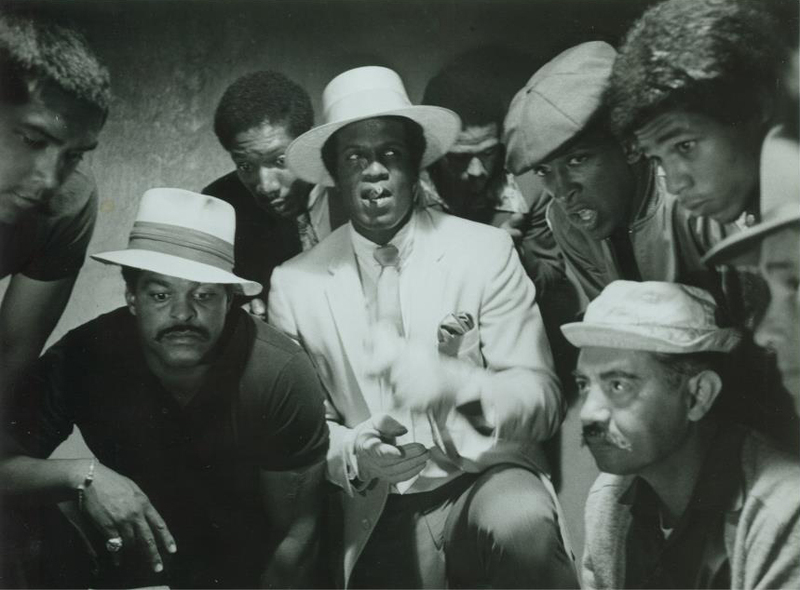 At the top of his career in 1973, Tony comes into contact with the Nation of Islam while on the set of Gordon’s War. Security was provided by members of Nation of Islam and Tony was fascinated by the way these brothers managed the turbulent area of Harlem without any problem. After several encounters with this brothers, he began flying to Chicago to listen to Minister Louis Farrakhan speak the truth. 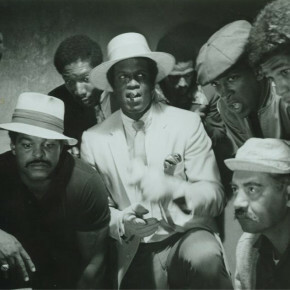 Tony comes into contact with the Nation of Islam while on the set of “Gordon’s War”. Security was provided by members of Nation of Islam and Tony was fascinated by the way these brothers managed the turbulent area of Harlem without any problem. He invited some of them to his house in New York. Fascinated by Malcolm X’s speeches since he was a teenager, he began listening to and following Louis Farrakhan. 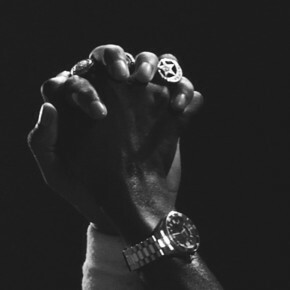 He was invited to the Saviours’ Day, an important annual convention, it was then that he changed his name from Tony King to Malik Farrakhan, with the approval of Minister Louis Farrakhan. ”I knew that a man like this in the top of his career because of the name Farrakhan they gonna blackball him, that’s what give me more respect for him” said his friend, manager, and producer Reginald Allen. Malik Farrakhan is now Head of Security Protocol of the most respected and politically committed group. 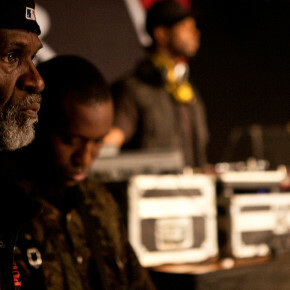 Minister Louis Farrakhan personally requested that he take care of them and Mister Chuck D in particular. 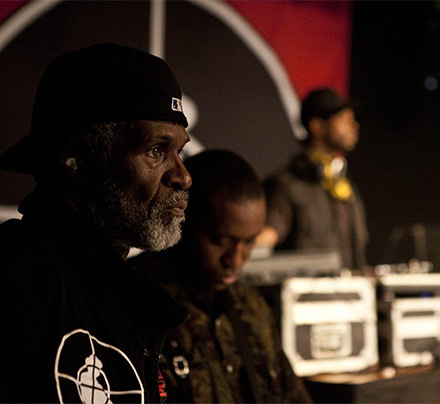 Public Enemy often mentioned Louis Farrakhan in their music and Farrakhan himself described them as models of conscious Hip Hop and models for the Black community. 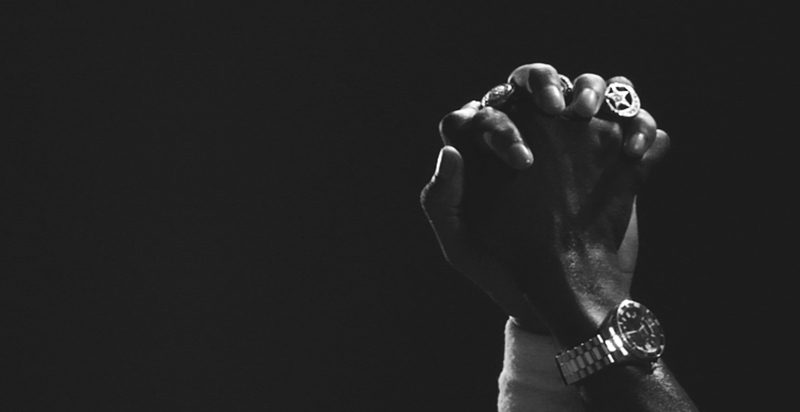 As written in the Authorized Story of Public Enemy (Russell Myrie 2008): “The shadow of Farrakhan and the Nation of Islam had always loomed large in PE’s background”. 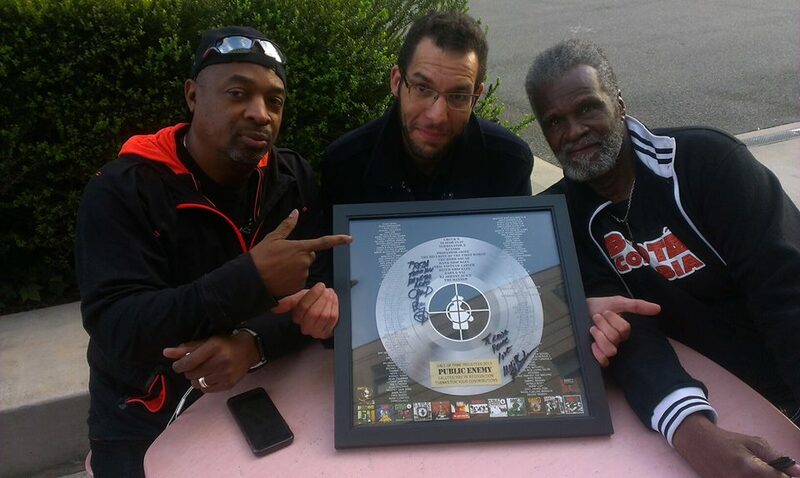 Malik has been on tour with them for over 20 years. 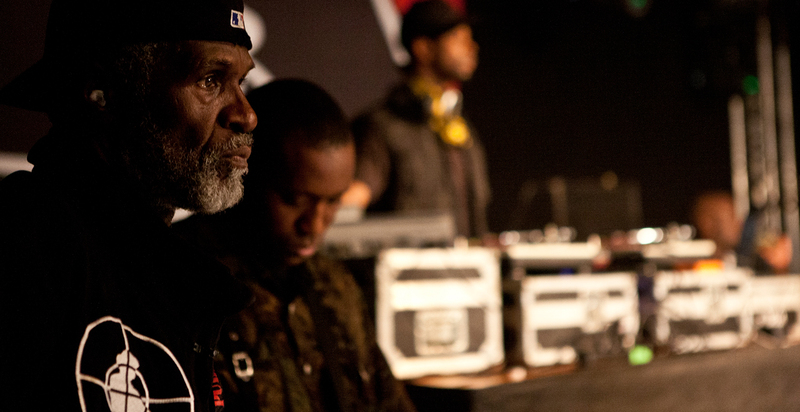 He’s their big brother and in a some ways, as Mister Chuck D says, their mentor. Real success doesn’t come easily. 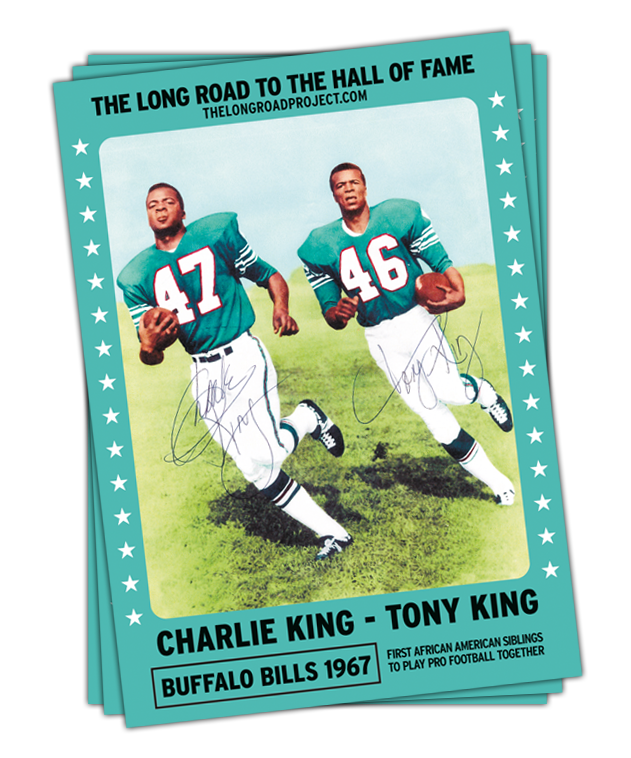 So 40 years after starting their careers with the Buffalo Bills, Charlie and Tony King discover they were the first African-American siblings to play Pro Football on the same team at the same time in 1966: thus, going down in history. When you visit the Pro Football Hall of Fame in Canton Ohio, you’ll notice that the African-American section is the smallest. They say they’re still working on it. 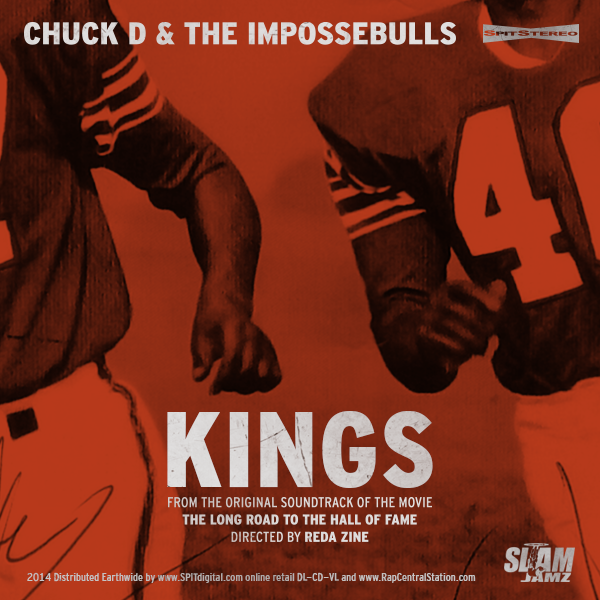 As written on hiphopandpolitics.com “Charlie and Tony King were grateful Ralph Wilson (Buffalo Bills owner) took a chance to give them the opportunity to play pro football, regardless of race, color and relationship.” It all started on Pike Street in Alliance, Ohio where the King brothers trained all day long with their uncompromising father, just a few miles from Canton, where the Football Hall of Fame is located. In 2008, the dream becomes a reality and the long road to the Hall of Faith becomes the road to the Hall of Fame. 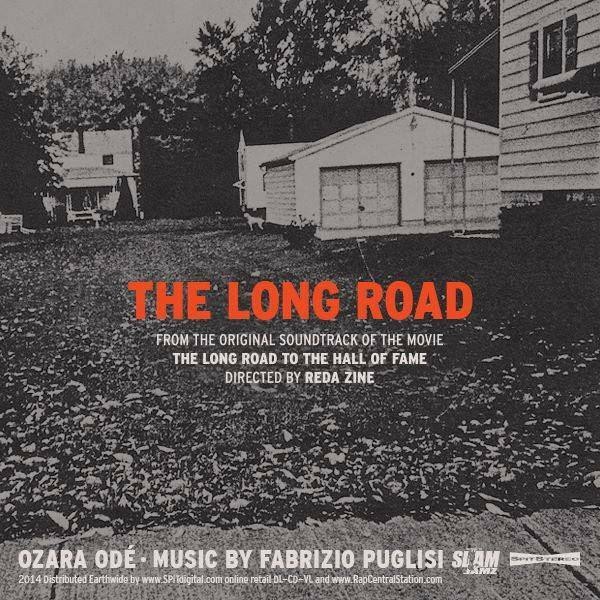 Scarica il PDF: Progetto_Scuole Proiezione del film “The Long Road To The Hall of Fame” di Reda Zine. Durata: 68 mn. 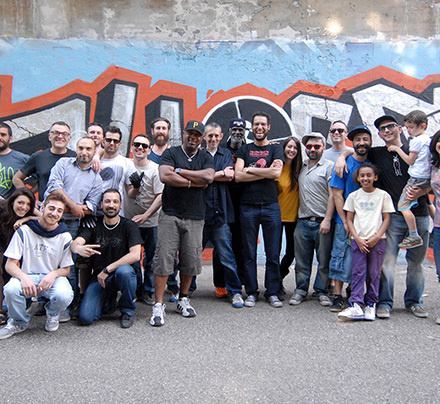 Italia-USA 2015. 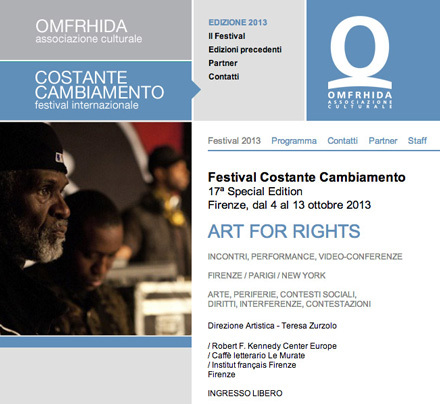 Dibattito sui temi del razzismo, dello sport, della musica e della religione. Sguardo sul cinema documentario indipendente. Durata: 60mn a 90 mn. Proiezione Dibattito Obiettivi dell’incontro: Il film proposto solleva temi rilevanti circa la diversità e l’inclusione, nello specifico contesto americano. 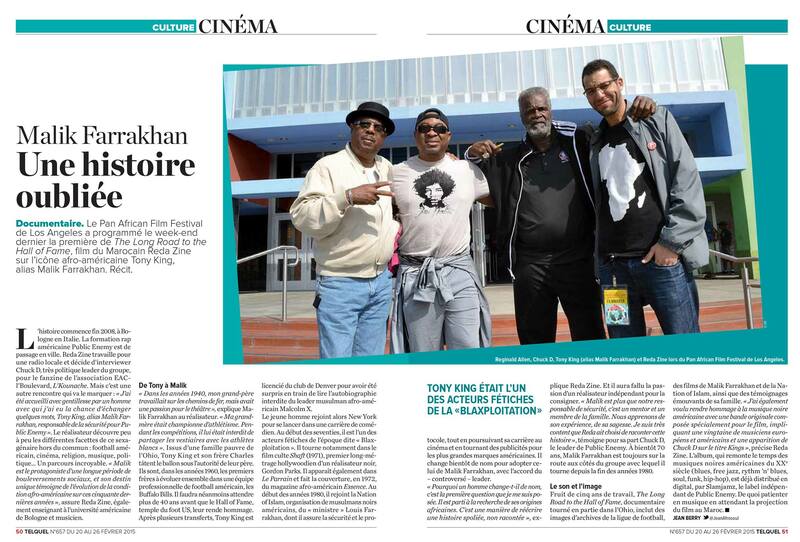 Premier article en français après la Première au PAFF2015 par Jean Berry paru su l’hebdomadaire Telquel. 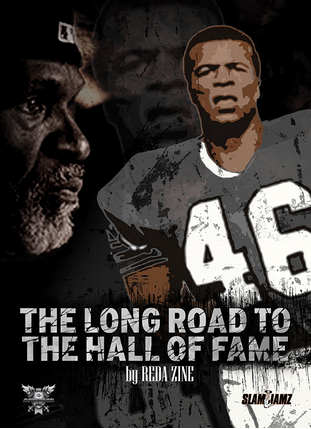 From the OST of the movie The Long Road to The Hall of Fame directed by Reda Zine. Listen here! Puntata speciale Public Enemy. 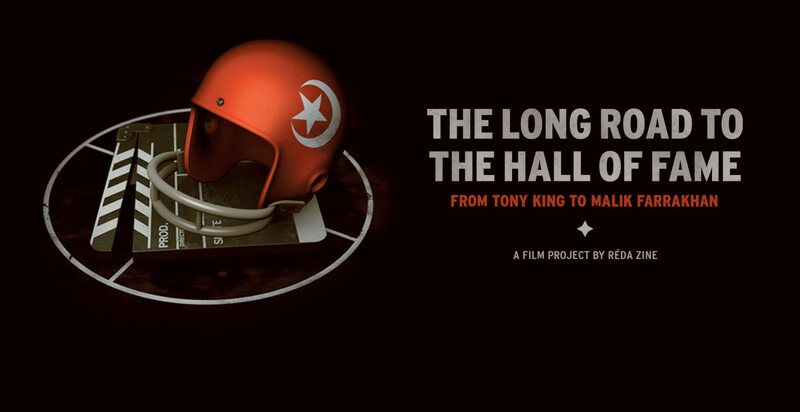 Parliamo di “It Takes a Nation of Millions to Hold Us Back” e il loro contributo al nostro film The Long Road to the Hall of Fame. Featuring. 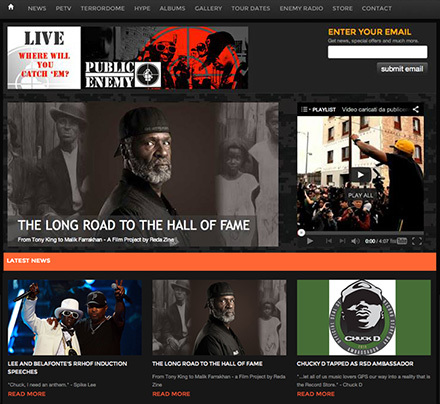 Chuck D, Tony King aka Malik Farrakhan Flavor Flav, Xminista ProfGriff, DJ LORD, The S1W, Steve Wonder, Ozara Odé & much more. 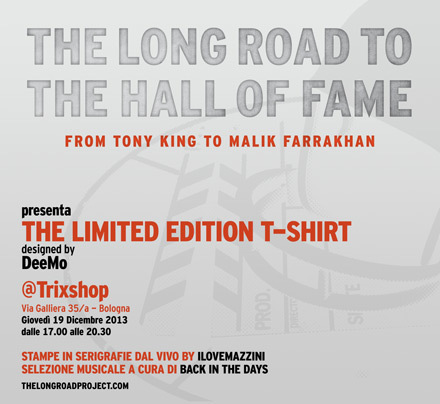 The Long Road To The Hall Of Fame will present the Limited Edition T-shirt at Trixshop (Bologna) on Thursday 19th December. Here you can find the link of the event. 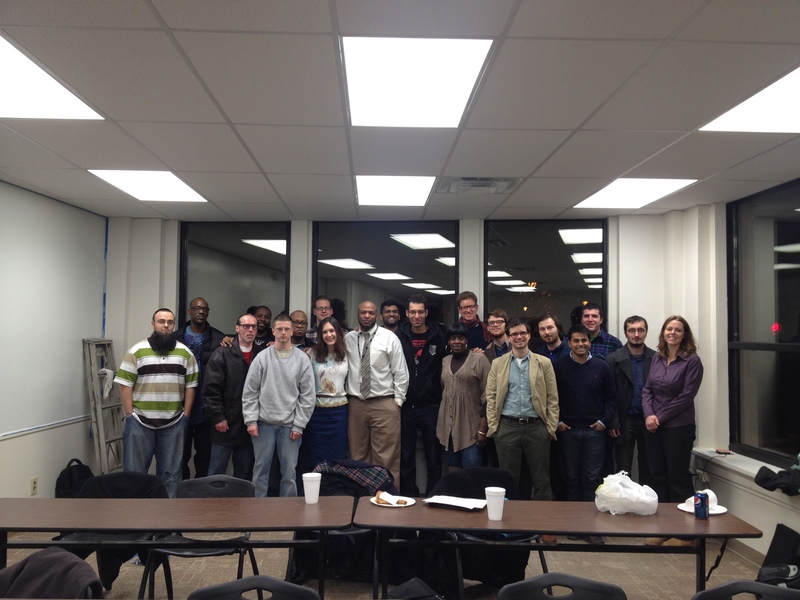 Share the post "The Long Road Project"
“It All started at 1422 Pike Street Alliance Ohio”. 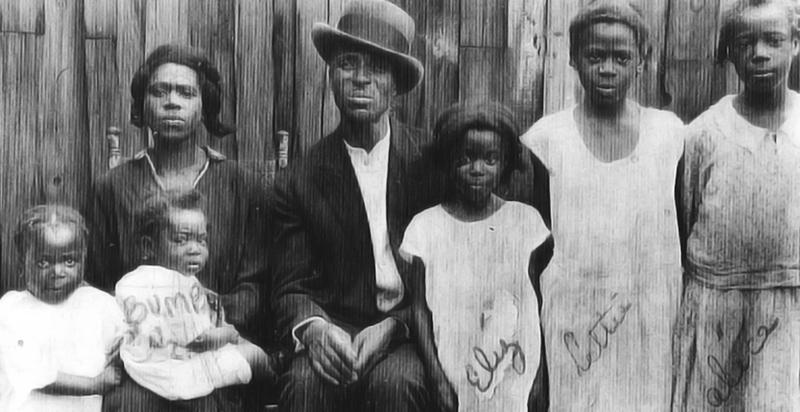 Malik Frrakhan and his family in the Public Enemy’s official video EVERYTHING from the album Evil Empire of Everything. Special Thanks to Malik Farrakhan and Family. 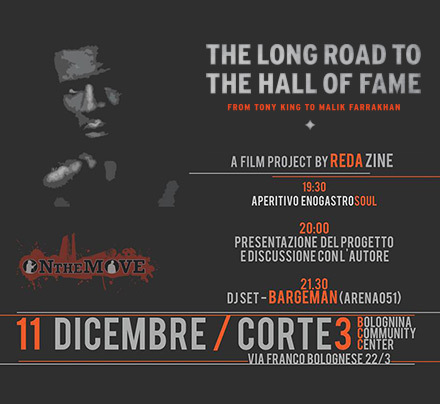 The Long Road To The Hall Of Fame will be presented by Reda Zine, director of the documentary, at Corte Tre (Bologna) on 11th December. Here you can find the link of the event hosted by OnThe Move Otm. 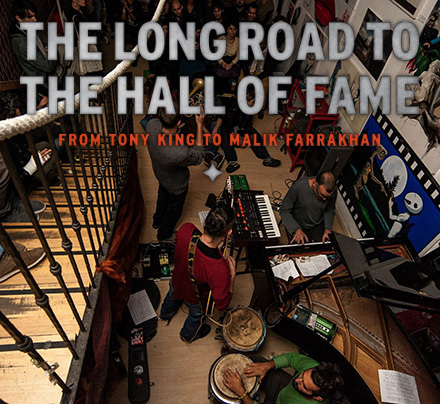 The Long Road LIMITED EDITION Shirt designed by DeeMo is an original interpretation of the essence of the documentary: it was created to describe all the different steps of the special life of Malik. It’s your only chance to get that special piece of Art! Don’t miss it! 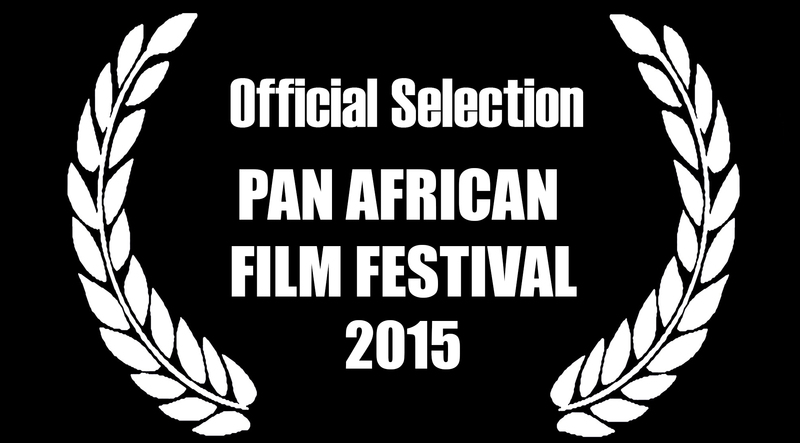 You can have it supporting our Indiegogo campaign. Nick Myers supports Malik Farrakhan’s documentary! 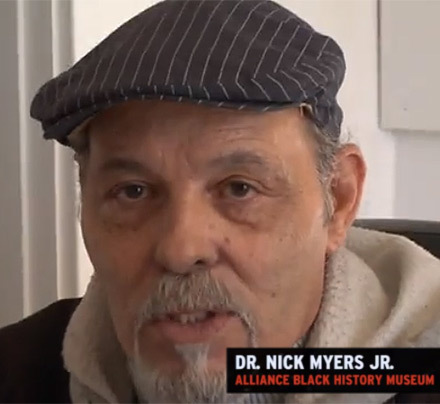 Dr. Nick Myers Jr. (Alliance Black History Museum) supports Malik Farrakhan’s documentary! 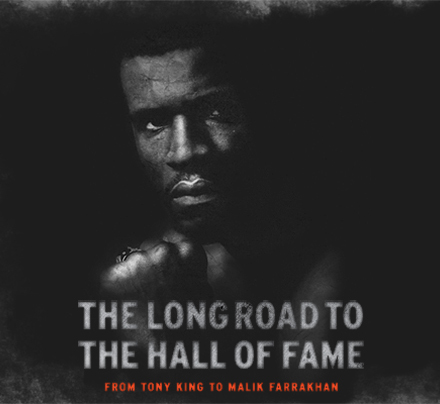 Brother Drew supports Malik Farrakhan’s documentary! 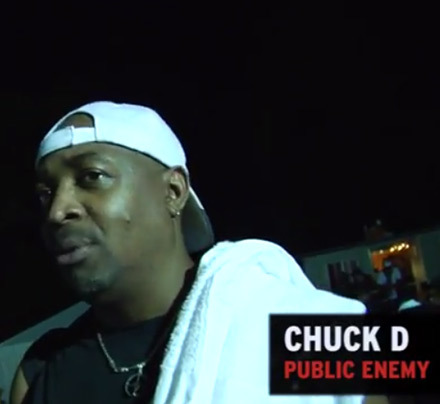 Chuck D supports Malik Farrakhan’s documentary! 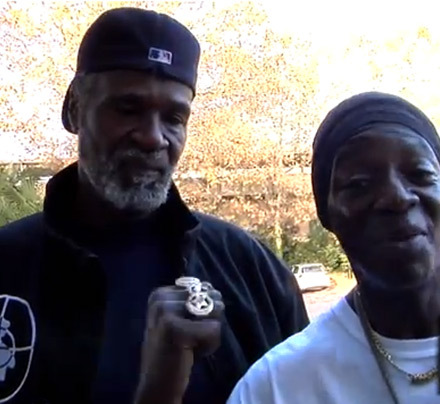 Take 2: Flavor Flav supports Malik Farrakhan’s documentary! 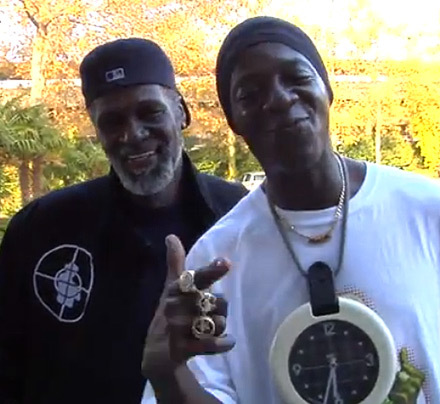 Thanks Flavor Flav for supporting Malik Farrakhan’s documentary! They grew up in the same household and played on the same football team at two different levels. 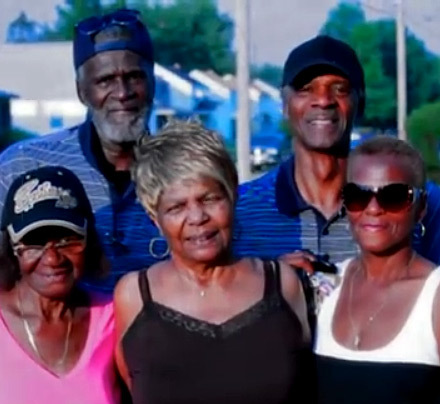 Charlie King and Tony King, also known as Malik Farrakhan, were impact players at Alliance High in the Mel Knowlton Era, went their separate ways in college but were reunited at the professional level over 40 years ago. Here is a preview of “King Bros.” stickers designed by DeeMo! 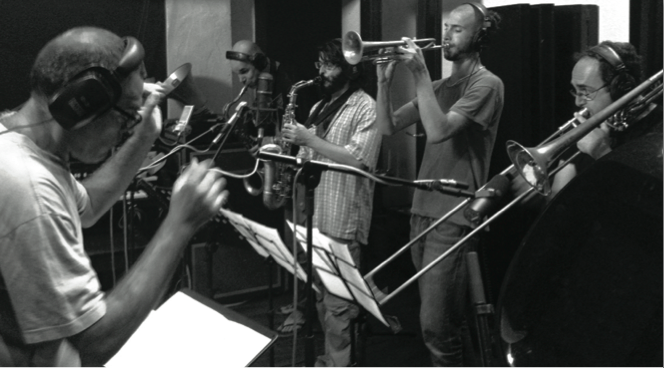 You can have them making a contribution on our Indiegogo page. 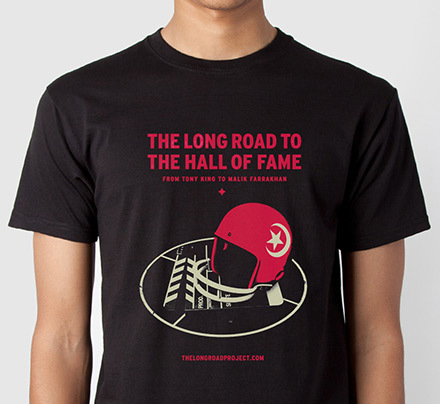 Hi, I’m Reda Zine director of The Long Road To The Hall of Fame. 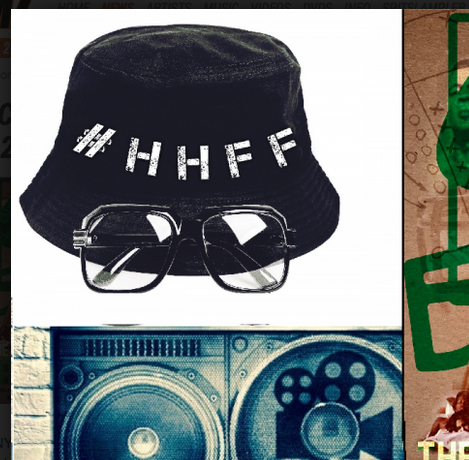 Let me explain to you why I’m doing this documentary and why we’re lauching an indiegogo campaign. 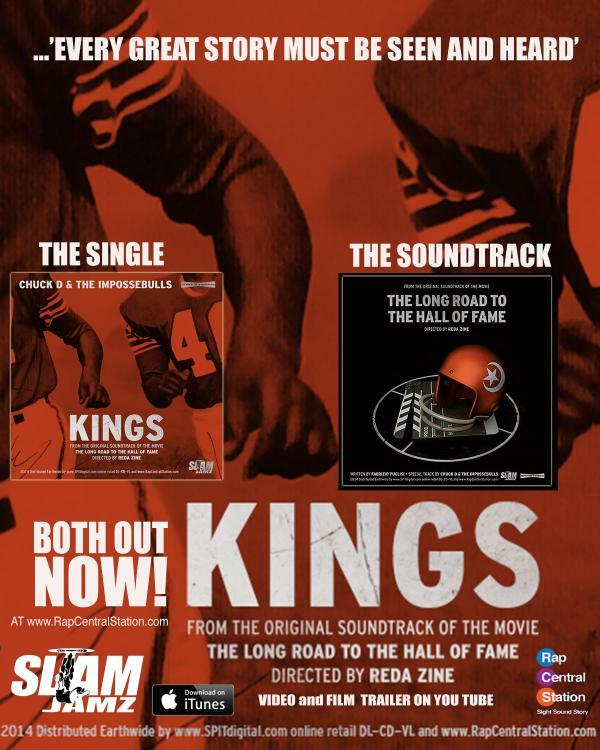 AFL & NFL HoF celebrates the King Brothers!